(1 each/unit) This is a brass body nickel plated finish, Commercial Grade and Quality. From Pl-259 Male to SO-239 Female. 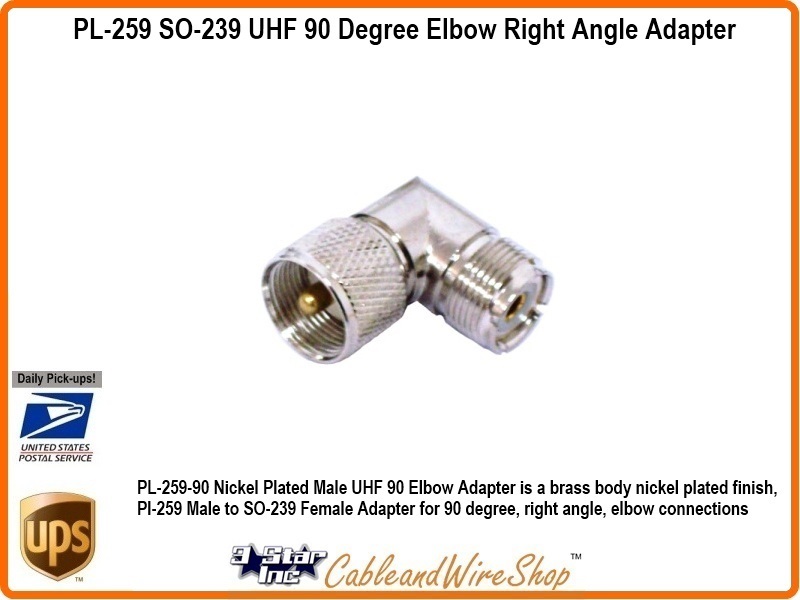 Use this adapter for 90 degree, right angle, elbow connections.